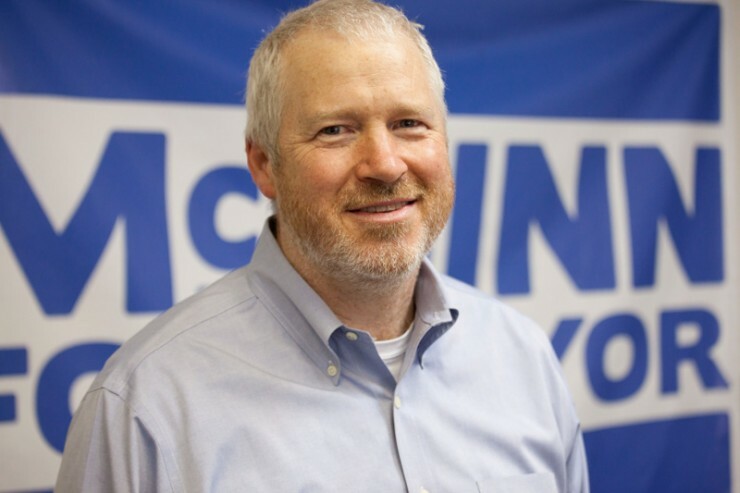 Former Seattle Mayor Mike McGinn. Photo by David Ryder. Bikelash is a clever term that describes the hand-wringing cries of, “War On Cars!” that’s followed the installation of every inch of bike infrastructure in the US. Even in the bikiest cities such as Portland, Seattle, Minneapolis, and New York, new bike lanes are met with fear and anger. And though bike politics may always be divisive to some degree, in Seattle it felt like bikelash reached its virulent fever pitch during former Seattle Mayor Mike McGinn’s term in office. The mayor himself was a bikelash lightening rod. He aligned closely with biking and walking advocates during his campaign and his term (his team even handed out “Mike Bikes” stickers and spoke cards during his first campaign). He fought against a multi-billion dollar project to build a highway under Seattle. And he implemented highly visible arterial “road diet” projects that prioritized biking and walking safety over speed by reducing the number of car lanes. In return, the media, political opponents, and the public dismissed him as anti-car, out of touch, the biking mayor, and, my favorite of the bunch, Mayor McSchwinn. I sat down with McGinn near his home in north Seattle to talk about his experience with bikelash, dealing with divisive bike politics as mayor, the role of mayors in transforming streets, how advocates can assist electeds in their job, and much more. 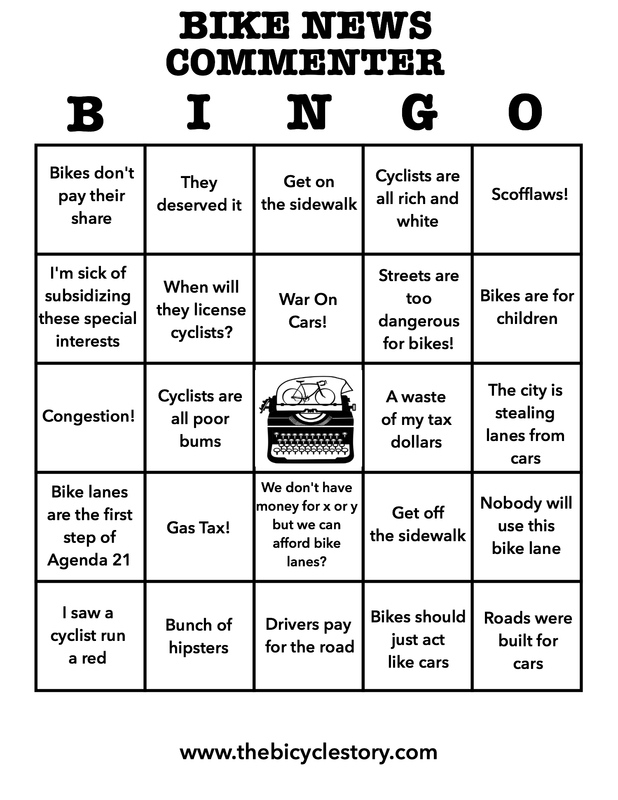 Inspired by the trolls rushing to comment on the news of Seattle’s recently launched bike share, I give you Bike News Commenter Bingo. Click the image for your full size bingo card.